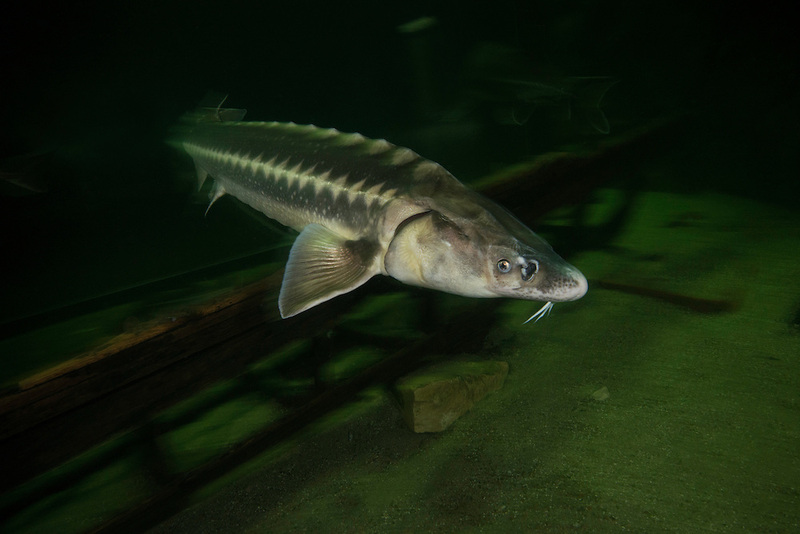 The Russian sturgeon (Acipenser gueldenstaedtii). Captive (Image shot in aquarium) in Danube Delta Eco Tourism Museum Center, Tulcea, Romania. DIGITALLY CLEANED.